As a home or business-owner interested in upgrading your floors, you essentially have two options: natural and engineered. Natural flooring materials include hardwood, bamboo, and stone like travertine, granite, and marble. On the engineered end of the spectrum, you find laminate materials, ceramic tiles, porcelain, vinyl, carpet, quartz, and engineered hardwood. Flooring is one of those surfaces which tends to go through fashion trend periods. Vinyl and carpeting were popular in the United States over many decades following World War II. However, natural-stone flooring has been a hot interior design trend for most of the 21st century. If you’re thinking about choosing natural-stone flooring to spruce up your home or business, here are a few considerations to keep in mind. There was a time when marble and limestone were luxury stones, expensive materials out of reach for everyday property owners. But today there are plenty of luxurious yet affordable natural stone options on the market. The expensive end of the market has actually become quartz and hardwood flooring options. If your property is one of the few in the neighborhood that features natural-stone floors, this can give you an edge in terms of comparative value and presentation. If you live in a sunny place where warm temperatures can be enjoyed most of the year, natural-stone flooring stays cool to the touch and will not radiate heat back onto the property. In fact, while the US insulates with carpet, in the middle east entire skyscrapers are floored in stone as it helps keep cooling costs down. Unlike softer hardwood floors, natural-stone flooring requires less upkeep. Maintenance costs tend to follow surface hardness and chemical resistance, with hardwoods being softer than marble, and marble being softer than granite. Everything will wear over time, but hardness is your friend here. Just keep in mind, whatever you select there is an optimal cleaner and care regimen required. Don’t be fooled by all purpose cleaners, or cleaners claiming they can do multiple jobs such as cleaning-and-polishing or cleaning-and-sealing. In all cases, these products deposit oils, waxes or sealers that can build up over time, which is exactly the opposite of what we want a cleaner to do. MARBLELIFE gets more calls to free-a-floor of build-up (often confused as wear because like wear it dulls floor appearance) than anything else. The sad thing is that these calls are avoidable if you are using an appropriate cleaner. 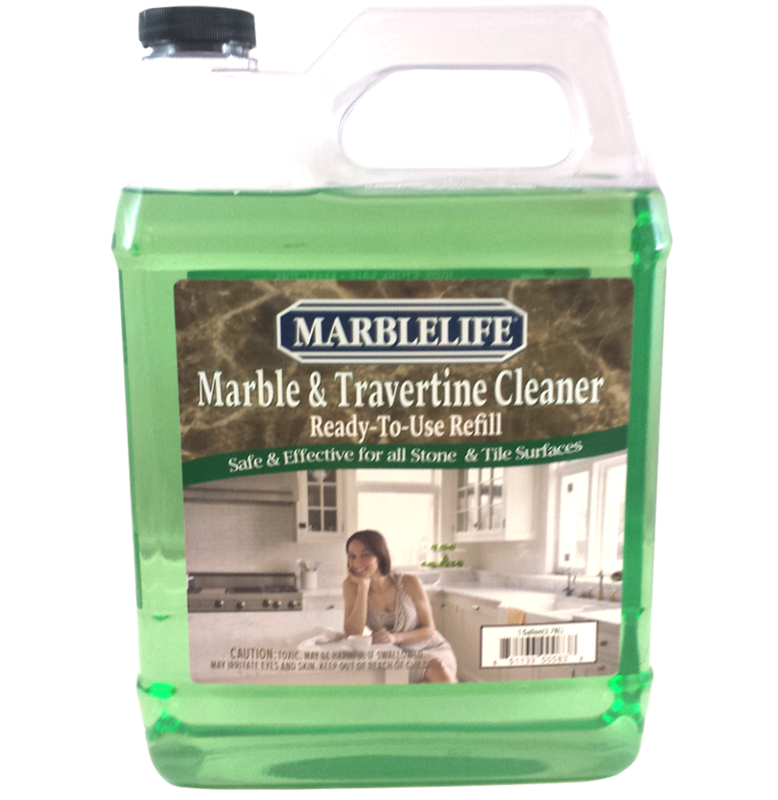 As long as you regularly use a granite stone and tile floor cleaner (MARBLELIFE® Marble & Travertine InterCare Cleaner) and sealant (MARBLELIFE® Stone Sealer), your floors will look beautiful for years to come. Be aware of Myths such as “You can also choose a glossy finish but you shouldn’t polish stone floor tiles for the risk it may make them too slippery and cause accidental falls.” A gloss finish is a reflection of how light bounces off the floor surface. The floor surface can be smooth and still not be slippery or contribute to accidents. Generally it is what is placed ON the floor that creates a slip condition. So polishing with an oil based product is not a good idea, but polishing the stone to be smoother is fine. Slip requires a moveable film, dust, oil or water to exist between foot and floor. If you can hydroplane a car on a rough surface road, then clearly it has more to do with the water being present than the floor. The net result is it is more about how one seeks to achieve shine than the floor material. Work with products designed to deliver a clean floor without depositing waxes or claiming to alter shine. Let your floor speak for itself. 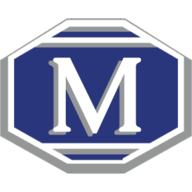 If you’d like more tips on how to clean granite and natural-stone floors, contact your local MARBLELIFE office and a knowledgeable stone craftsman will be happy to assist you.